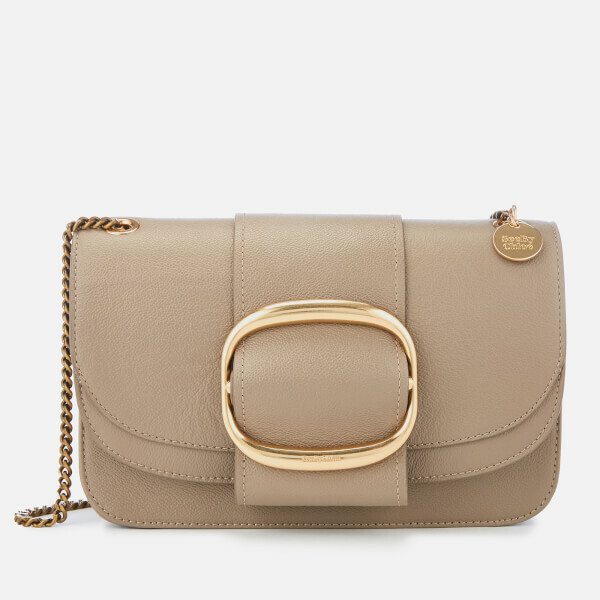 Large cross body bag in pebbled leather from See By Chloé. 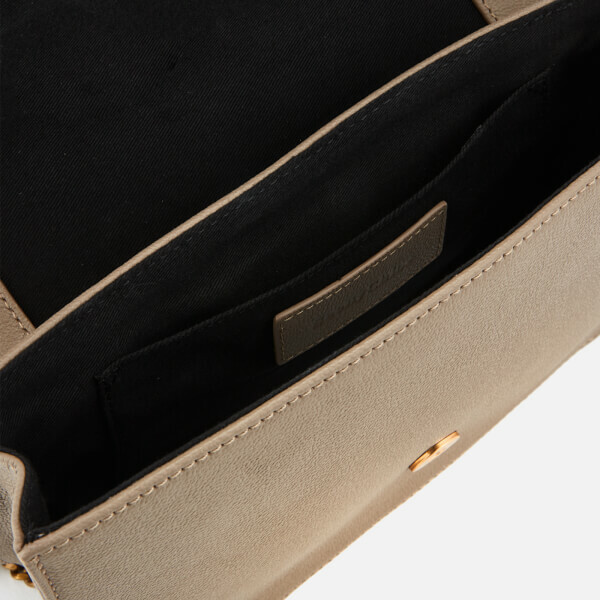 The taupe ‘Hopper’ bag features a magnetic flap fastening with oversized metal ring detail and opens to reveal a roomy lined interior. 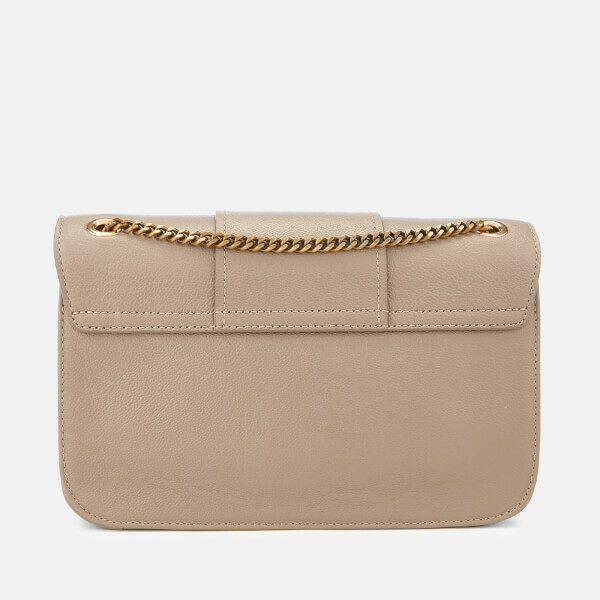 An inner slip pocket provides space for small valuables, while the gold-tone chain strap can be doubled up for versatile styling. An engraved logo charm adds the finishing touch.